Wouldn’t it be great if you could spy on your competitors and find out why they’re getting more traffic, leads, and sales than you? Or to find out what is and isn’t working for them so that you can avoid their costly mistakes and double down on what works? I think we can both agree that this would give you a huge advantage. But, it sounds too good (or expensive) to be true, doesn’t it? You can spy on your competition and it’s easy, affordable, and completely legit. These 9 tools will help you do just that. Progressive companies and badasses alike are using them to break down their competition’s strategies, pinpoint weaknesses and competitive advantages, and discover new ways to reach more customers. On average, companies are spending 29% of their total marketing budgets on digital channels, with 47% of that going towards search. So, there’s a good chance your competitors are investing a lot of time and money to appear near the top of the search results for valuable terms. But where exactly are they investing their time and money? Which keywords are they after? Are my competitors trying to target a keyword ineffectively? Can I do it better and overtake them? With this information, you can poke holes in their strategy and fill them with your own brand. True to its name, SpyFu lets you spy on your competition’s AdWords and organic search campaigns. This can help you find keywords that aren’t super competitive but still possess a lot of potential upside. With this, you can earn a quick boost to your traffic while avoiding overly competitive (and costly) keywords and phrases. If PPC is an important part of your strategy, then SpyFu's for you. There’s a ton of value in being able to look at all your competitor’s ad copy from the past to see which strategies have endured over the years and which got Darwin-ed out. Like SpyFu, SEMRush offers insights into paid and organic campaigns. It may not have SpyFu’s ability to view a competitor’s 9-year ad history, but it excels in organic search engine optimization analysis. SEMRush’s Competitive Positioning Map shows you how your ranking for important keywords compares to your known and unknown competitors'. This map can track your ranking progress for your most important keywords over time. It’s a great way to determine where you should focus your targeting efforts and which battles aren’t worth your time. AccuRanker focuses entirely on organic search. And with the lion’s share of organic traffic going to the first two or three search results, it’s important to track your competition’s keyword rankings, your own rankings, and how they compare. This is the best way to learn where your competitors are beating you to potential leads in organic search. Once you have a plan in place to improve your keyword rankings, you can track how your rankings change over time and report on the effectiveness of your SEO efforts. The starter plan is about ⅓ of the cost for a comparable plan on SpyFu and SEMRush. So, if you’re focused on organic search and want something that costs a lot less, consider AccuRanker. In 2014, consumers were, for the first time, equally influenced by social media conversations and TV ads. Given that 52% of adults have 2+ social profiles and 90% of young adults use social media, it’s literally impossible to manually track all of the conversations that are happening online. Adding to the madness, news is going increasingly digital and social. Almost 70% of Americans consume news on their computer and 63% of Facebook and Twitter users get news from those networks. Why so many numbers? To prove how necessary it is to pay attention, not just to your own brand’s media mentions, but to your competition’s as well. Monitoring these conversations allows you to see who's already talking about your competitors. The goal is to try to get mentioned alongside them. It also lets you extract competitive advantages from all of the internet chatter. If you can catch wind of your competition’s disgruntled customers, you’re golden. These are the most valuable leads you can get because they have already invested money to solve the problems you solve and they're looking for something better (you!). To see this strategy in action, see how B2B SaaS company, Close.io, used this exact strategy to land a new client and look great in the process. Google Alerts notifies you of any new content for the terms you choose. Just enter your competitor’s name and you’ll get notified any time they get mentioned in the news or on major websites. Bonus - you can also monitor your industry as a whole by setting alerts for industry keywords. The best part? Google Alerts is free and easy to use. There’s no excuse to not know where and when your competitors get mentioned. Careful, though. If you use Google Alerts but skip out on Hootsuite, you'll miss all of the conversations that are happening on social - conversations that include your prospects. Combined with Google Alerts, you’ve got an affordable brand-monitoring strategy with a lot of coverage. The downside of using HootSuite and Google Alerts is that your information is siloed in two different tools. That’s a lot of logging in and out and makes it difficult to get a cohesive picture of your competition. That’s where Mention comes in. Mention collects mentions from all over the web in one convenient place. So why not go straight to Mention? It's going to cost you more. 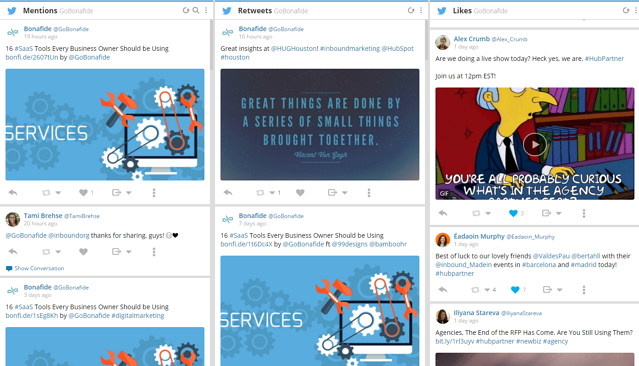 If you have the budget and want every mention in one dashboard, spring for it. With 67% of B2B marketers naming content as a “top 3” or “high” priority in their marketing strategy, content marketing is booming. Understanding where and how often this content gets shared can give you insights into your competition’s content marketing strategies. You can also unmask and approach the influencers who willingly distribute your competition’s content, giving your competitors access to large and engaged audiences. This is a pretty nice shortcut to get your best content in front of the people that will see it, share it, and link to it. Unfortunately, it’s nearly impossible to do this well without some help. How much is my competition’s content getting shared? How often is it shared? Which individuals/groups are sharing it? Fortunately, there are some free and otherwise affordable tools to help you quickly answer these questions. 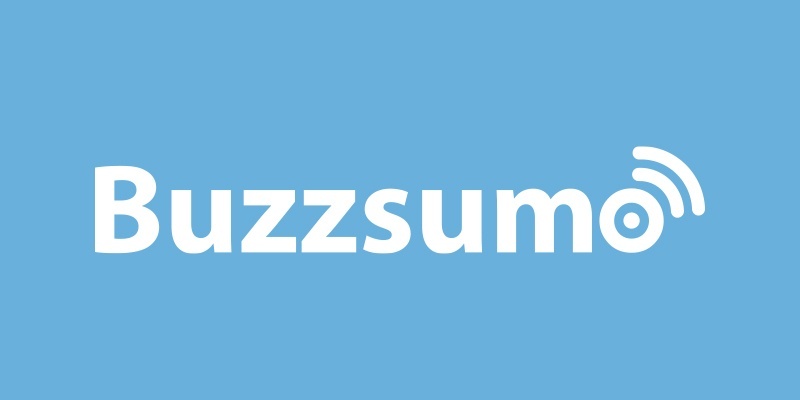 BuzzSumo lets you enter a website URL or keyword to see its most shared content. It tells you where the shares occur and how often. It even locates the influencers who are amplifying the reach of that content. You can conduct limited research for free, but to get the most out of the tool you'll need to subscribe. Subscriptions start at $99 for small teams and exceed $999 for enterprise teams. If you can manage it, though, it’s worth subscribing. These insights ensure you invest your time and money into creating content that will be valued by your prospects and shared by the influencers who can help you reach them. It can be the difference between crickets and a blog that generates a ton of leads. LinkResearchTools tracks who links where. It shows you all of the websites that link to your competitors and notifies you each time they earn a new link. This information is important because if these websites link to your competitors, you can probably convince them to share your content, as well. Combined with a tool like BuzzSumo, you can find places that have linked to a resource your competitor created but you’ve improved upon. If the website links to your content instead, they provide better content to their audience and you get rewarded with a valuable backlink, better search rankings, and more leads. It’s a win/win...for everyone but your competitor. Who is their website copy targeting? Is it easy to find everything your prospects are looking for? Do they have a clear sales funnel? What are their calls to action (CTA)? How are they capturing and nurturing leads? Do they have an active blog? You want to determine what’s working well for them, what’s ineffective, and what changes they're making to their websites. While a lot of this requires you visiting their websites and taking notes - you can use VisualPing to track changes your competition makes to their site after your initial audit. VisualPing automatically alerts you whenever a competitor makes any changes to their site. Are they changing a headline in a way that signals they’re targeting a more profitable segment? Are they offering new features or services? Have they changed their prices? Are they offering a special deal that undercuts your offerings? Are they posting new jobs, signalling growth or a shift in direction? These are all questions VisualPing can help you answer. Just enter their URLs and you’ll be notified via email whenever they change something. With your newfound sleuthing tools, you’re ready to read your competitors’ minds. You’ll be in the room with them as they craft their search engine marketing campaigns, interact on social media, and publish their content. The sooner you start, the sooner you’ll be grabbing more leads and closing more deals that would have been your competition’s. Of course, if spying isn’t your thing, you can always hire your own team of super agents to do it for you.